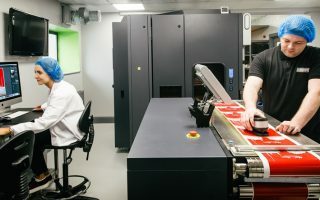 At Nuprint we can quickly turn around short and medium digital print runs – perfect if you’re on a tight deadline or require product samples for a last-minute business meeting. Our short run mock-ups can be delivered in bottle or label-only form, with hot foil and embossing finishes for digital orders available. 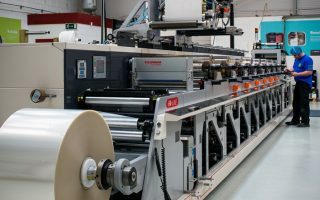 Delivering a fully flexible set of services to our clients, we can provide efficient and reliable short multi-sort digital runs, as well as high volume print runs with our flexo press. 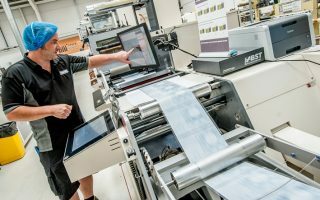 With a comprehensive range of printing solutions available, we offer everything from shrink sleeves and reverse printing options, to interactive print, sequential numbering and more. Committed to innovation, we stay one step ahead of the competition. Our customers receive high-quality services giving them the freedom to create truly inspirational brands. A core part of our offering at Nuprint is the ability to tailor printing solutions to meet the specific requirements of each client. 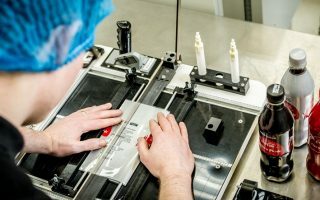 This flexible approach to both the design and end product means that our customers enjoy quality labels with added impact. Working with clients who supply major UK and Ireland supermarket chains, we ensure that every label we create stands out in the most challenging retail environment.